Rockman.EXE: Operate Shooting Star is a role playing game for the Nintendo DS. 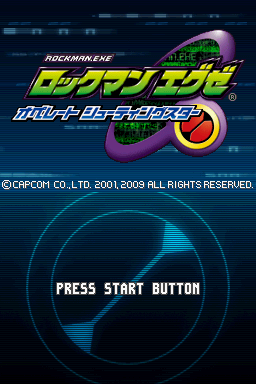 Rockman EXE Operate Star Force was originally released for the Nintendo DS in Japan in 2009. It never saw a statewide release. It’s generally regarded as a low-effort port of the first Battle Network, but with a Star Force crossover scenario tacked on. Despite this reputation, the game still improves the first Battle Network in many ways such as various minor text, graphic, and balance changes throughout the game. The game also includes the new multi-player Star Colo mode.